Pine State Pest Solutions uses Thermal Remediation®: a safe, effective, chemical-free process using dry heat to kill the entire life cycle of bed bugs. The target temperature during this heat treatment is between 120-135°F, the temperature necessary to kill bed bugs and their eggs. Kills every life stage from egg to adult. 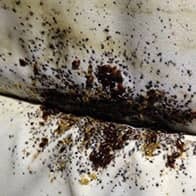 Bed bugs are attracted to heat which increases the effectiveness of treatment. Heat treatments have been found to kill many other insects and also remove odors. At Pine State Pest Solutions, our heat treatments are successful because we follow a proven process every time. Bring Heat. Electric bed bug heaters are placed within the space; introducing and recirculating heated air with a target temperature not to exceed 135°F. Monitor. Temperatures are monitored in real time from a remote location using wireless sensors to ensure lethal temperatures are reached without damaging the space and its contents. Move Air. High temperature fans move heated air throughout the space to reach insects in cracks and crevices or high infestation zones. Schedule Your Free Bed Bug Inspection Today!